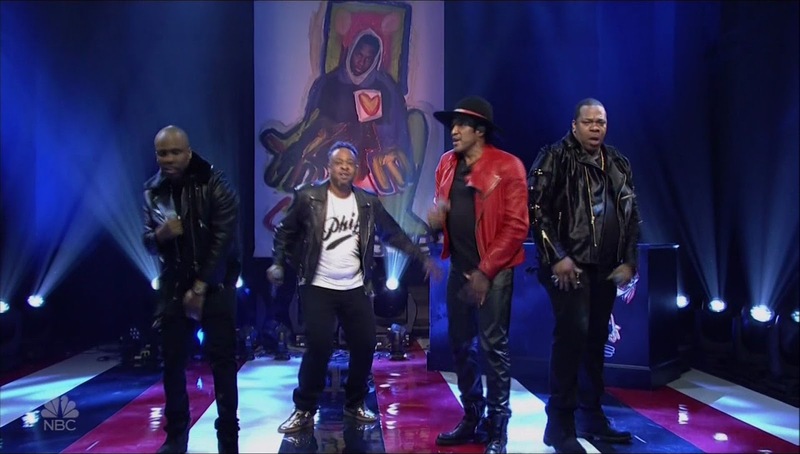 A Tribe Called Quest and Dave Chapelle owened SNL on Saturday (November 12) with their performance and Monolgue respectively. ATCQ's Q-Tip and Jarobi gave a historic performance of We The People" complete with the late Phife Dawg's verse. For their second performance of the night, they were joined onstage by Busta Rhymes and Consequence to perform The Space Program. Both songs can be found on the group's final album We Got It From Here... Thank You For Your Service.